Lankan Navy arrests 34 TN fishermen. 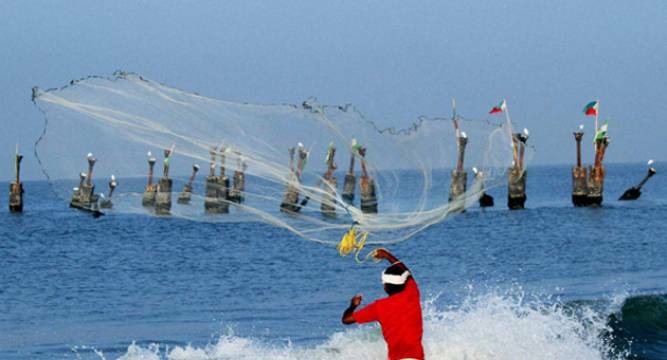 Rameswaram(TN): Thirty-four Tamil Nadu fishermen were today arrested in separate batches by Sri Lankan Naval personnel near Katchatheevu in the Palk Straits and close to the Lankan coast respectively, a fisheries department official said. The department's assistant director, who did not want his name to be quoted, told PTI that 23 fishermen from Kottaipattinam in Pudukottai district were arrested at Neduntheevu close to the Sri Lankan coast while others were arrested while fishing near Katchatheevu. The Lankan naval men allegedly damaged two boats by forcing them to collide and also ruined 40 fishing nets, he said. The fishermen have been taken to Talaimannar and Kangesanthurai respectively, he said, adding, seven boats were also seized.